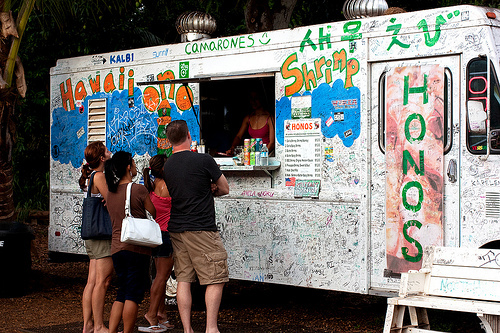 Have you ever eaten out of the back of a shrimp truck in Hawaii? No! Wow, you have been missing out! I live on the North Shore of Oahu within a few miles of some shrimp aquaculture farms where the shrimp are plentiful. Actually we have an ongoing battle between the North Shore Shrimp Trucks. No kidding! 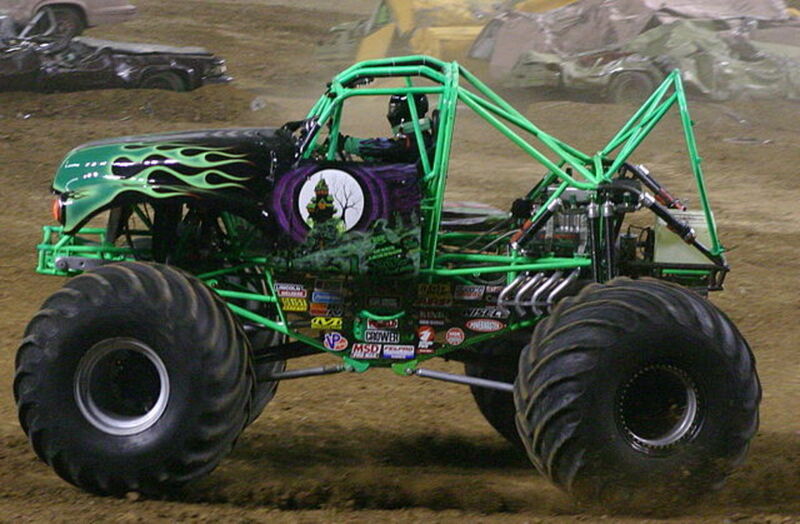 Some of them are stationary, and some move from place to place - why not - they are trucks! We are just about an hours ride away from the big city of Honolulu, In fact, we are out in the country. Plenty beach, plenty ocean, and plenty shrimp out our way. The prawns are harvested daily from ponds and cooked up fresh for the visitors and locals. 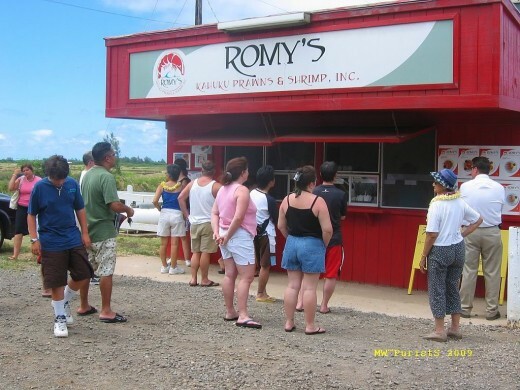 Some of the shrimp trucks have been around for 15 years now. 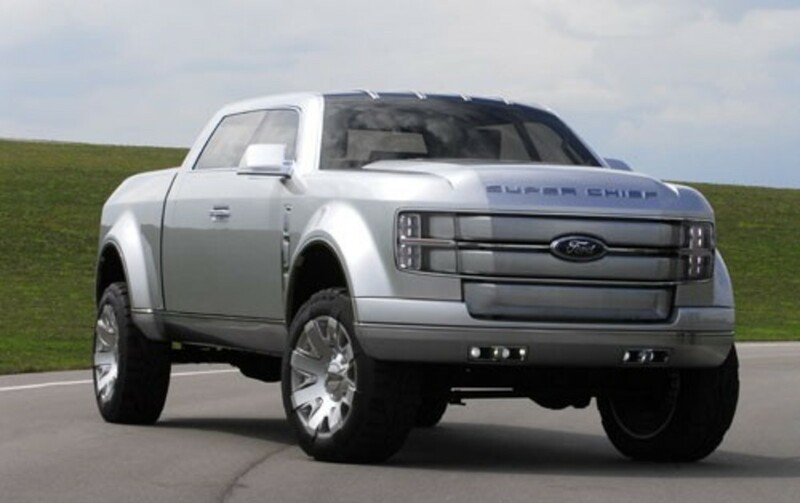 They usually have graffiti on the outside, but the insides of the trucks are modernized and clean. You actually walk up to the window of the truck and make your order. Shrimp is usually served with two scoops of rice, optional macaroni salad, green salad, pineapple slices, or a lemon slide sometimes on a bed of shredded cabbage. You can have your shrimp with garlic and butter, lemon butter, sweet andspicy, hot and spicy or with a soy-based sauce. The current price is around $12.00 a plate, but it is a large serving. Some of the shrimp trucks have shelters nearby that you can sit under on picnic tables. You will want to grab plenty of napkins, because the shrimp can be a bit messy, especially if you have to peel the shrimp. No need for a reservation - just show up, but prepared to wait a bit if there are lots of tourists. It will be worth the wait! Just in case you are a little wary of eating out of the back of a graffiti covered truck, not far away is a red building that will serve up their own prawns and shrimp. This belongs to Romy's, and it is great for groups, has a private parking lot, is great for kids, is accessible for wheelchairs, and has outdoor seating. 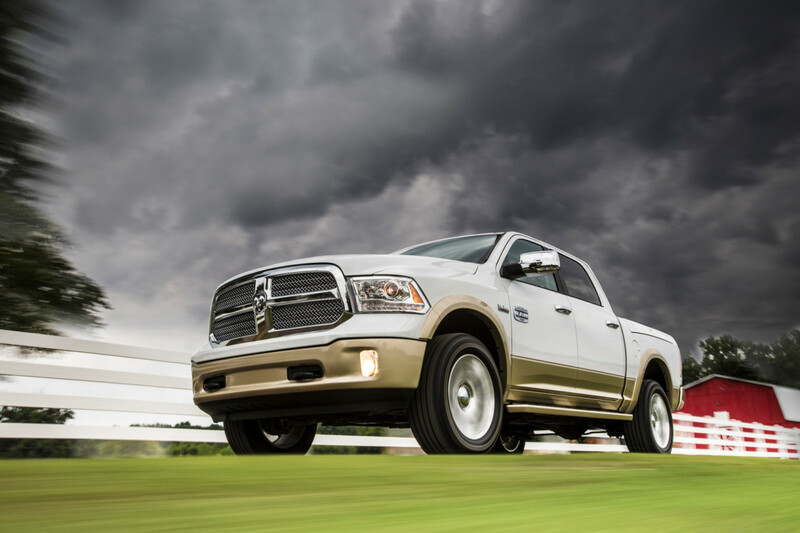 It has received a four star average rating and has the same great offerings plus others that the trucks have. 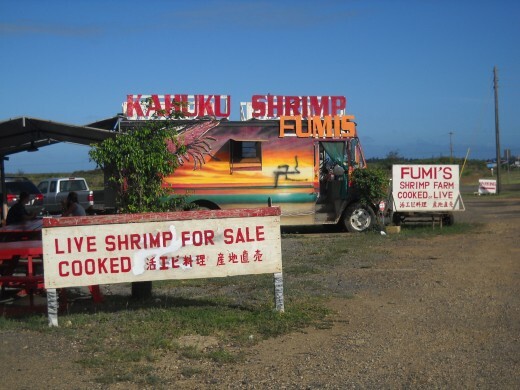 Well, I have only mentioned three places to get some fantastic freshly cooked shrimp here on Oahu, but you will find as you drive around the islands of Hawaii, there are plenty more. Most of these places have non-shrimp items for sale also if you want a break from shrimp. That's great AnnCee - We are actually heading to the mainland during that time. Hope you enjoy your trip and especially the food. Thanks for commenting. Oh man! I love that stuff. We're heading that way in November. Yay! Me "love shrimp" too. It is so delicious! Glad you enjoyed it and hope you make it to Hawaii soon. In the immortal words of Homer S. me "love shrimp". Your pictures are so awesome the food looks as if you could taste it off the page. I hope to make it to Hawaii one day. If you go to the ones I mentioned, you shouldn't go wrong. I forgot to mention another shrimp truck in Kalihi that they have girls in teddy's, but then that's another story. 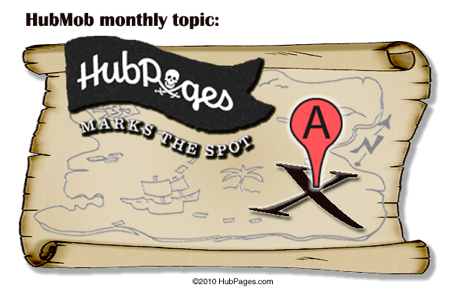 This is a wonderful Hub, and the next time i am in HI, I will eat off the trucks! Thank you for sharing. Come on over SimoneSmith - I will even go with you and get some garlic shrimp. Thanks for your comments. Gosh, I had never even heard of these shrimp trucks before... what a cool thing- to snack on some delicious, fresh food served from a graffiti-covered truck. I wish I were in Hawaii right now! It is! Come on down! Thanks peacefulparadox. You know our time in Hawaii is a few hours behind most of you - so I am always excited to wake up and check what comments I may or may not have on my hubs. Thanks y'all for stopping over to check out my shrimp truck hub. Hope you can all get a taste soon. Aloha. MMMMmmmmmm! It's breakfast where I live and you know what I am craving? . . . Giovanni's! The garlic and butter shrimp is my favorite! Definitely a heart stopper though, lol. Delicious and wonderful hub, Elayne. Those shrimp in the graphic look really yummy, and I haven't even had breakfast yet. Will be sure to visit on my next trip to Hawaii. Thanks for the Shrimp Truck info, elayne. You lucky old thing. Shrimps and prawns I could until I blow-up. You get them so fresh. I will be there tomorrow. That's the spirit Alternative Prime - hope you are able to visit soon. Thanks for the comments. 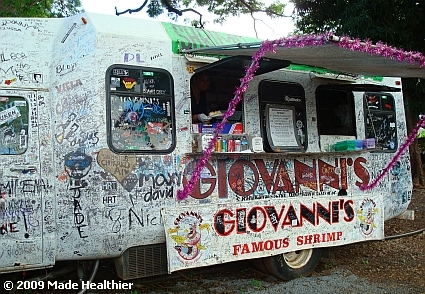 Hello elayne, I'm definately a seafood lover and the next time I visit Oahu I'll keep a look out for the trucks and dine on one of my favorites.. 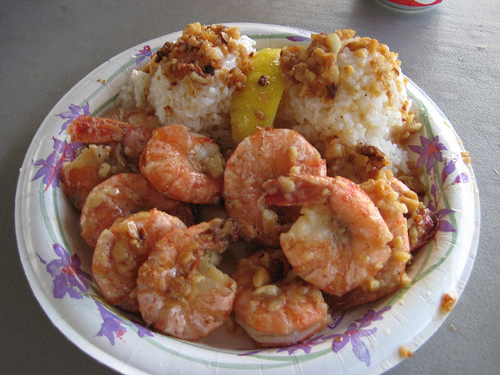 Thanks superninja79 - That's great that you were able to taste Oahu's great shrimp. 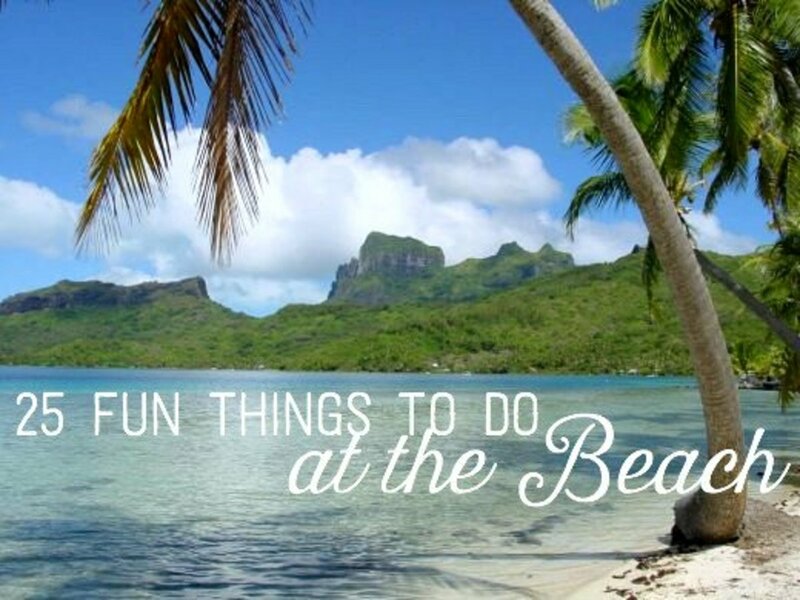 @Hope you get a chance to visit the islands peacegirl101. Thanks for the thumbs up. @alternative prime - interesting name BTW - yes, the islands have shrimp on the truckie - and it is very tasty! I've been to Hono's, great stuff. Awesome hub!